Testing children is less easy than testing adults, primarily because they lack the social inhibition to tell psychological researchers to go away with their super boring tests. This presents a problem in developmental research: How do you reach these kids?! For our current study, we developed a bunch of iPad games to test the cognition of an entire classroom in one go. And it works! In this context, cognition refers to your mental capabilities. This includes how good you are at reading, abstract problem solving, memorising, and many more things. One of my favourite ways to think about cognition, is as a set of separate-but-related building blocks. One of these blocks is attention, the ability to filter only the relevant bits out of the endless stream of information you’re faced with in the world. Another is short-term memory, the ability to temporarily maintain information in your mind. Obviously, these blocks interact: you need to select information to be able to store it. But they also are clearly separate: Selecting information is not the same as retaining it. When we test cognition, we try to make ‘pure’ tasks. Ideally, each task only tests a single building block, and is not dependent on any other. In practice, this is impossible. A crude example: If you’re blind, you won’t be able to do a visual short-term memory task. That doesn’t mean you have poor memory, it just means you couldn’t see the task! What researchers usually end up doing, is trying to test concepts from different angles. They might include a short-term memory test with words or numbers, and also a short-term memory test with locations. After testing, they might do some statistical modelling to try and isolate common factors that underly test performance. These factors might overlap better with those cognitive building blocks I mentioned earlier. 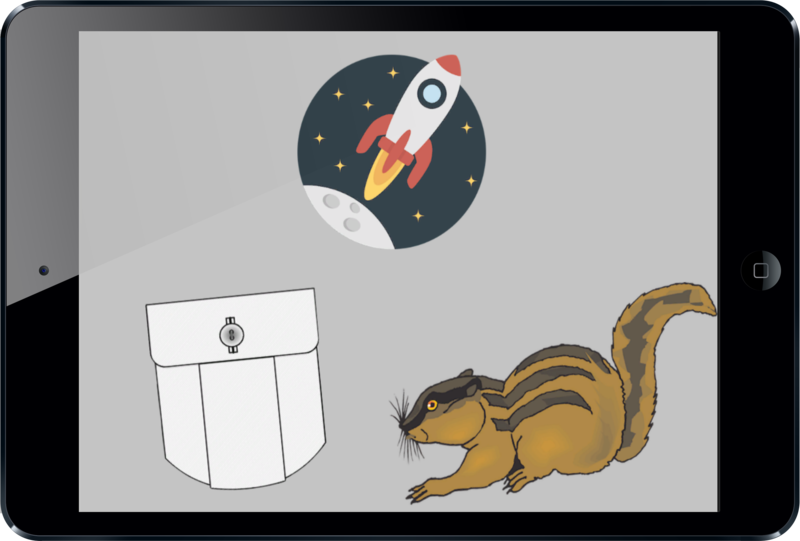 In this phonological awareness task developed by Alex, children decide which option (“pocket” or “chipmunk”) rhymes with the top item (“rocket”). The options are read aloud via earphones. Why is it so hard to test children? In developmental psychology, many researchers try to make their experiments fun and engaging. We follow this trend by making our cognitive tests into games. For example, we use an inhibition test that resembles “Whack a mole”: Children get points for tapping dogs (that bark when you whack them), but lose points when they accidentally tap poops (that make a fart noise when you hit them). Although each dog only gains them 50 points, we’ve seen children play until they had collected over ONE HUNDRED THOUSAND POINTS. To our astonishment, when taking 30 iPads (with earphones!) into a classroom, children actually focus on the games for a whole hour. Note that some of these ‘games’ are literally 2 minutes of reading sentences of doing sums. Those are boring! And yet, with enough fun tasks in between, children are absolutely happy to do them. Of course, sometimes children get excited and share their score or screen with a friend. But most of the time, they’re quietly working on their own iPad, enjoying themselves and generating important data for our studies. 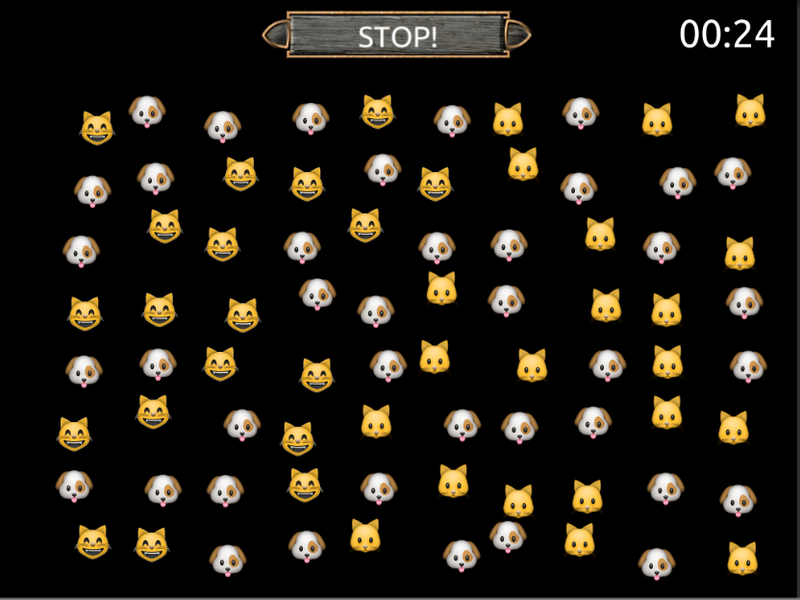 In this game developed by Edwin, children need to find all the cats. When tapped, they meow and smile. Our current study, codename RED, aims to investigate the development of school-going children in the ages of 7-9 (first measurement) to 9-11 (second measurement). In the testing sessions described above, we collect data on childrens’ cognition and personality, their educational attainment, and their environment. The project is organised by Duncan Astle, I (Edwin Dalmaijer) am the postdoc on the project, and there are two wonderful PhD students too: Giacomo Bignardi and Alex Irvine. We’re funded by the Templeton World Foundation and the Medical Research Council. What we’re interested in, is what factors drive children to do well at school. For example, we know that socio-economic status predicts educational attainment, but we don’t quite know what exactly that means. Many people will simply think that parental income is driving this, but that’s much to narrow an interpretation. Many more factors are at play, and it’s crucial that we know what they are and how they interact if we want to understand what allows children to flourish at school. This is super important, because knowing what makes children do well also allows us to intervene in more effective ways when children fall behind. My first RED logo suggestion (based on the epic Taylor Swift album RED) was unfortunately vetoed.